As you have probably noticed, we are super glad spring is here! To celebrate the new season, I have taken my bike out for a ride in my super new Bike dress-up game. Also, Sisi joined me because she is a super cat looking for fun outdoors. Toto is outdoors as well, planting seeds for the lovely Spring Snowdrops game. Go give him a helping hand so he can make those beautiful white bouquets. 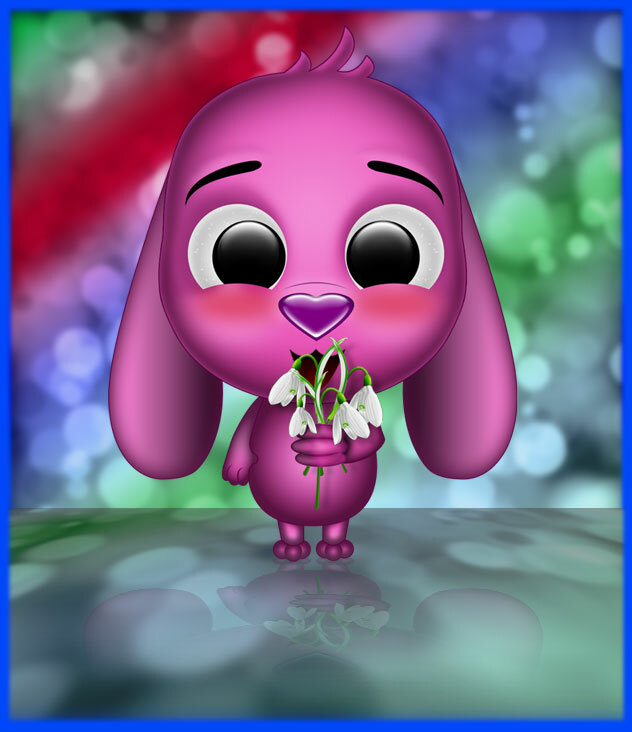 He loves to offer flowers to beautiful girls and he is super excited Spring is here! You know...this is Toto's first year when he gets to see the Spring Snowdrops! So no wonder he is ecstatic! Lisa says "hello" too", from the kitchen...She is cooking up a surprise for you, so stay tuned!